Florida home loans for teachers with bad credit often seem impossible to find. First, there’s the issue of trying to afford a house on a teacher’s salary. Then there’s the fact that a good credit score is the number one thing mortgage brokers look at when they’re deciding whether or not your home loan application is going to get rejected. Get Help Pre Qualifying for a Florida Teacher Bad Credit Home Loan – Click Here! More and more, we see teachers simply giving up on their dreams of home ownership and settling for an apartment or duplex. But it shouldn’t have to be this way. We at Home Loans For All believe in the message implicit to our name, and we want to make sure that everyone can find a safe and secure and permanent place to live regardless of their income or credit. That’s why we’ve put together this article, in which we list some of the best Florida home loans for teachers with bad credit. We will also cover other forms of assistance that can help you find a mortgage with a bad credit score – things like down payment assistance, co-signing and underwriting to get better terms on a home loan, and renting to own. Conventional Florida home loans usually require a minimum credit score of 660-700. And even if you have a credit score that high, the income requirements and steep down payments (which require you to pay 20 percent of the total value of the home up front) will price most Florida teachers out of the market. Here are three mortgage programs with expanded eligibility requirements that we hope you will find much more accessible if you are a Florida teacher with bad credit. Most loans make you choose between accepting bad credit or paying a low down payment, but FHA loans give you the best of both worlds. These home loans for Florida teachers do have one downside, though, which is that you have to pay for Private Mortgage Insurance every month for the entire duration of the loan. This means that you’ll save money up front and might save money on individual payments, but you’ll end up paying more over time than you would with a conventional Florida mortgage. Veterans’ Affairs home loans are, as you can probably guess from the name, available only to teachers in Florida who previously served in some branch of the armed forces. However, if you are eligible for a VA loan, you should definitely apply. 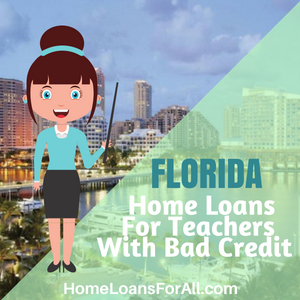 These Florida home loans for teachers with bad credit have low credit requirements, low income requirements, low interest rates, and require absolutely no money down when you apply. They don’t even make you pay for expensive private mortgage insurance like FHA loans do! 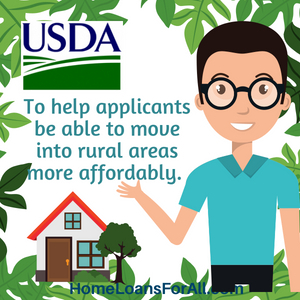 US Department of Agriculture home loans for Florida teachers with bad credit are designed to help applicants be able to move into rural areas more affordably. 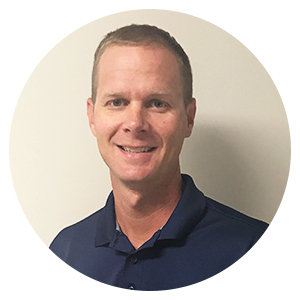 If you live in Jacksonville or Orlando, you’re likely not going to be able to secure this type of loan. But if you live elsewhere, even in the suburbs of a smaller city, you should at least give it a shot! You might be surprised to find what the USDA considers a “rural” area. If you do have an eligible property in mind, USDA loans have longer lease periods, require no down payment in many cases (and low down payments in all others), and will generally cost you less money than most other Florida home loans for teachers with bad credit. 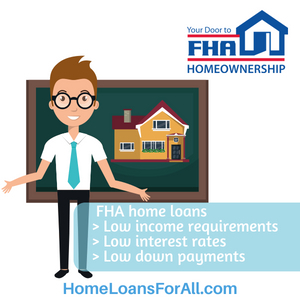 However, their credit and income requirements (though still lower than those of a conventional mortgage) are lower than the requirements for an FHA or VA loan, so you may need to have your USDA loan manually underwritten in order to turn it into a Florida home loan for teachers with bad credit. 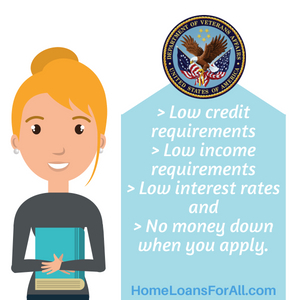 If your credit is too low for the above programs or you can’t meet the other eligibility requirements (serving in the armed forces, living in a rural area, etc.) you may wish to seek out other assistance. And even if you’re planning to apply for an FHA, USDA, or VA home loan, there’s no reason for you not to do everything you can to make those loans as affordable as possible! Here’s some other options that will help you find Florida home loans for teachers with bad credit at the best possible price. If you’re a teacher in Florida with bad credit, there is a good chance that you will be expected to pay a higher down payment on a mortgage than you would if you had good credit. It’s how some mortgage brokers make up for the risk of accepting a bad credit mortgage application. Of course, this is less of a problem if you’re applying for an FHA loan, which is one of the few loans that combines low credit requirements with low down payments in order to be as accessible and affordable as possible. But even then, there’s nothing wrong with seeking out some down payment assistance to help make the initial payment even cheaper. 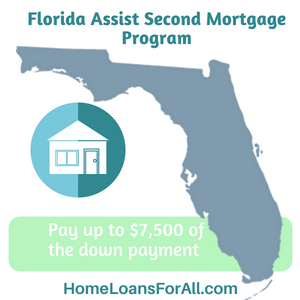 The primary form of down payment assistance available in Florida is the Florida Assist Second Mortgage Program, which offers to pay up to $7,500 of the down payment and closing costs on a home through a second no-interest deferred loan. This means that instead of having to make a huge payment up front (which is hard to save up for when you’re working with a teacher’s salary) you can pay off the down payment over several smaller payments after you’ve paid off the entire mortgage. If your credit is too low to apply for even an FHA loan, you can give your score a “boost” by finding a cosigner. A mortgage cosigner is a close family member or friend who ties their credit to your property, letting you apply for a loan as though you have higher credit than you actually do. If you desperately need a home and don’t think you’re ready for a Florida teacher home loan with bad credit, you can always apply for a rent-to-own contract. In terms of applying, a rent-to-own contract works like any other rental contract, meaning that it has lower credit requirements, lower income requirements, and a security deposit instead of a down payment. The main difference is that a rent-to-own contract for teachers with bad credit in Florida will require you to pay a potential options fee up front, which compensates the landlord for taking the property off of the market. Then, at the end of the rental period, you will have the option to buy the home outright. This will require you to find a different Florida teacher home loan with bad credit. 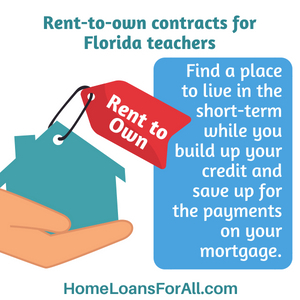 So a rent-to-own contract won’t save you any money in the long run, but it is a good way for teachers in Florida who have bad credit to find a place to live in the short-term while they build up their credit and save up for the payments on their mortgage. We hope this article has helped you see that Florida home loans for teachers with bad credit are not as inaccessible as they may sometimes seem. Everyone in America deserves to live in a place that they can truly consider their own – homes provide a sense of security and safety that you just can’t get by renting an apartment. So if you’re a Florida teacher, don’t wait – apply for the loan of your dreams today! LOOKING FOR HOME LOANS FOR FIRST RESPONDERS IN FLORIDA? CLICK HERE!